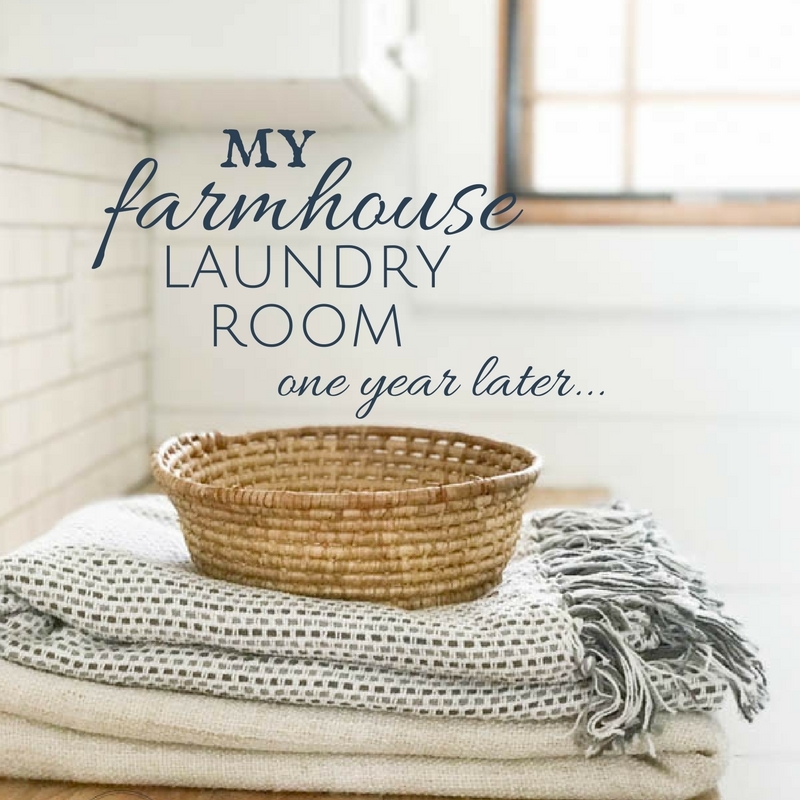 I cannot believe its been more than a year since we remodeled our farmhouse laundry room for the One Room Challenge. 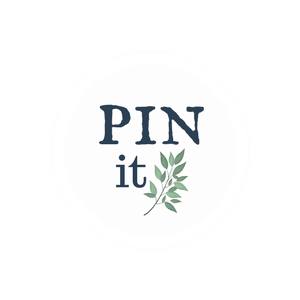 This was one of the largest renovations I had taken on since starting my blog. It has also been the most successful. It has taken on a life of its own, and I could only be so grateful to you, my readers for making it such a success. 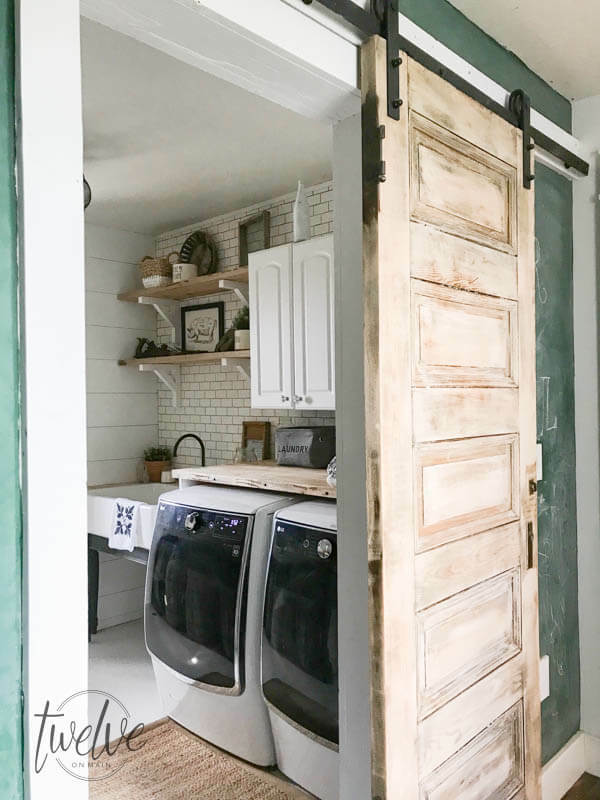 Since I have been taking part in the Room By Room Summer Showcase, and this week we are focusing on laundry rooms/mudrooms, I thought I would do a post documenting how things are going in my farmhouse laundry room since its completion. 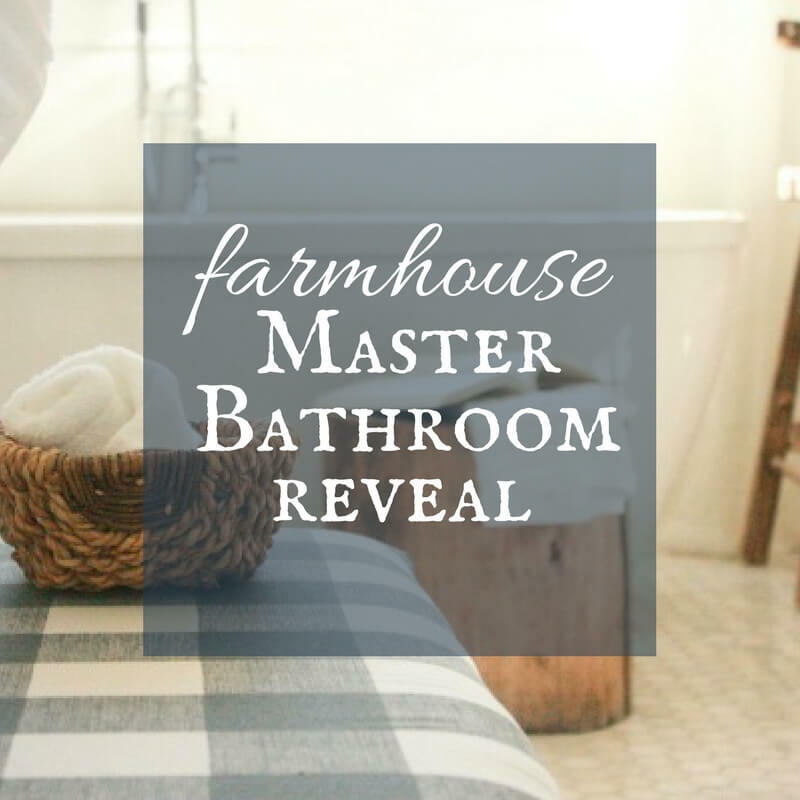 If you want to see the original post, check out my Farmhouse Laundry Room Reveal. You can see all the before’s and after’s. And let me tell you, the before’s are oh so awful. 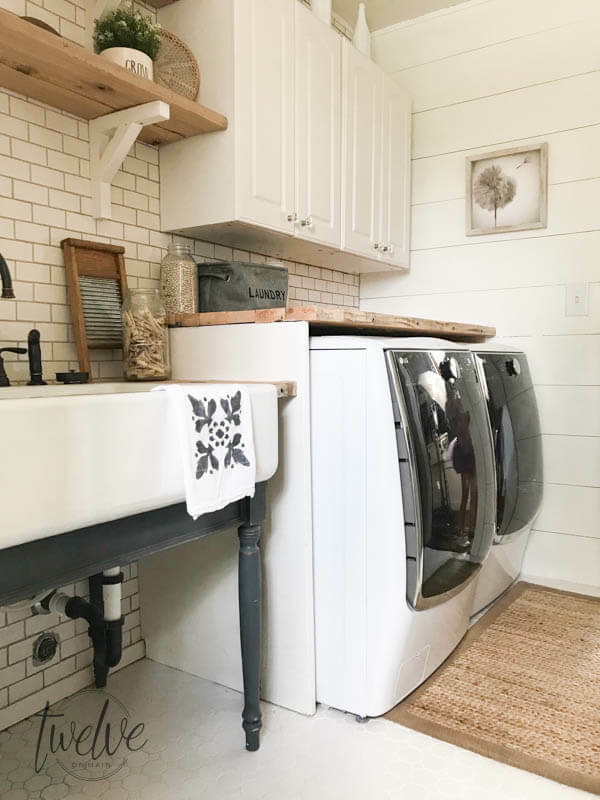 When we decided to remodel our laundry room, there were some specific requirements that I wanted to implement in order to create an amazingly stylish and functional farmhouse laundry room. So in order to complete the stylish features in the space, we needed to address the functional components first. Before we decided to remodel, the more major problem we had was a drainage issue. Our floor was sloped, back behind our washer and dryer. and we had many incidences where our washer leaked and the water headed straight behind it. No possible way to get to the water. We ended up taking everything out of the room, and using self leveling concrete to fix the problem. I can happily say that we have not had 1 problem with drainage since then. When the washer leaks, or water runs out the front it, the water head straight for our drain. Score! Before the remodel, we had concrete floors. Mainly it was this way to cut costs, but also because I could not decide what I wanted. I chose a white mosaic tile from Lowes. It has been a wonderful floor. It has warmed up the space tremendously! The only thing I have had a small problem is the grout. You see, we were advised to use sanded grout. 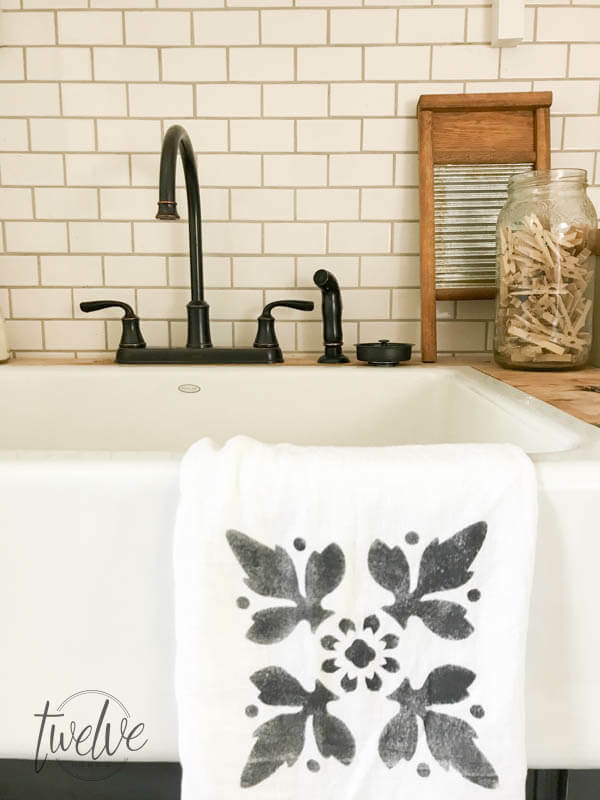 Now, what happens to white sanded grout when it gets dirty? Do you know how hard it is to clean out the gunk that gets stuck to the sand? I do. 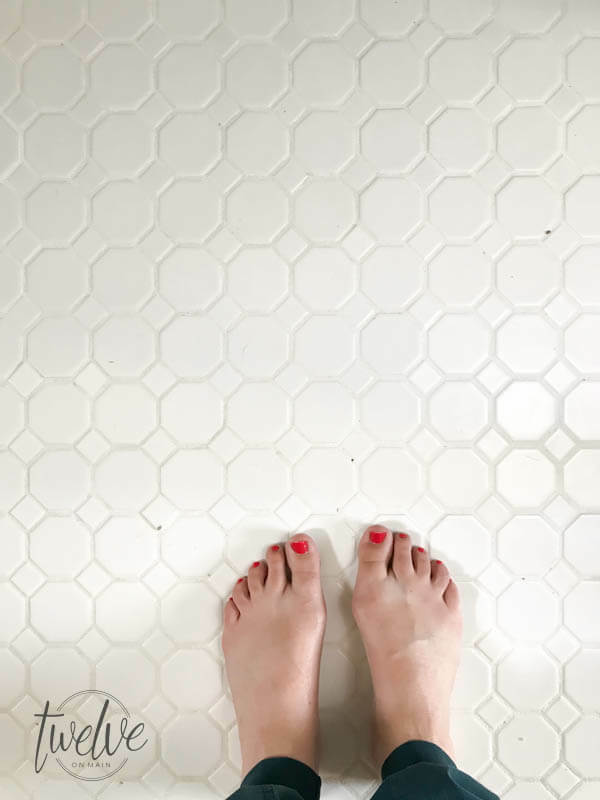 We did seal the tile and the grout during the renovation, so the it really hasn’t been that bad, I am just a little obsessed with it. So, I would recommend not using sanded grout on a laundry room floor. One thing we did have was a small space to fold laundry, but I wanted something specific. When I take the laundry out of the dryer, I like to be able to set it directly above, onto a table. We previously had nothing above our washer and dryer and if you wanted to set clothes there, you risked the chance that your clothes would fall behind the appliances. This happened on many occasions. We built our butcher block countertop from scratch from some reclaimed wood. We installed this countertop above the washer and dryer as well as on the opposite wall, where we could do more folding, and hanging of clothes. I wanted a large, non porous sink that could handle all our messes. And I mean messes! 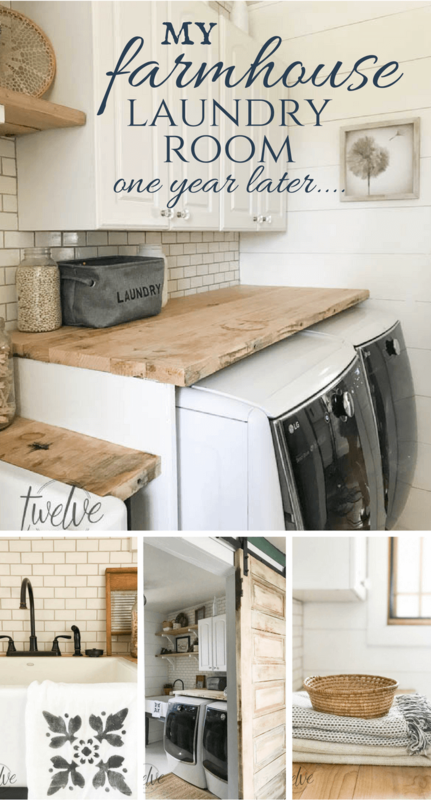 I cannot believe how much we used our laundry sink before the remodel, and it was a cheap, sink. It was so disgusting too! I had bleached, cleaned, scrubbed, and nothing could get it clean. Well, or at least it didn’t look clean. It was stained with paint, dyes, and all sorts of other products. 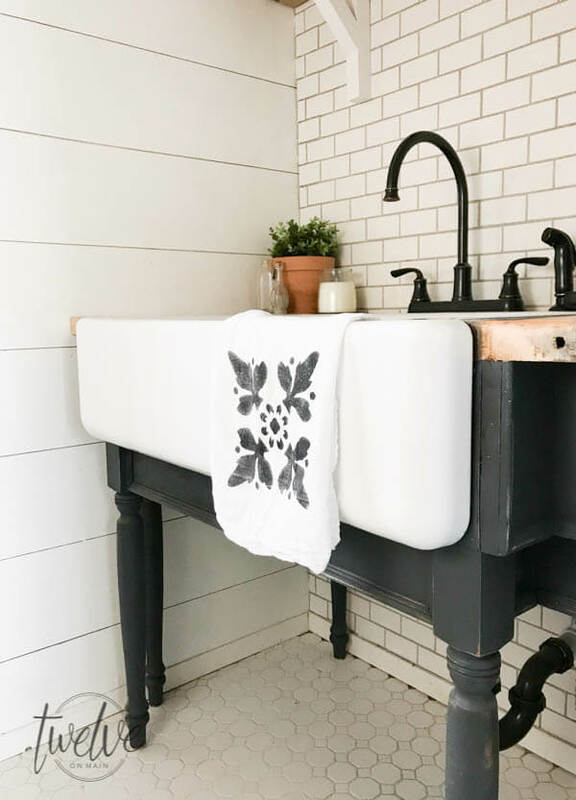 We installed this amazing Kohler cast iron farmhouse sink, and it has been amazing. I cannot count the amount of times I have used it to wash muddy shoes…..like all the time. I have also used it to do shibori tie dye, washed paintbrushes, and soaked items with bleach. It has been wonderful to not be able to see the remnants of all our million projects. 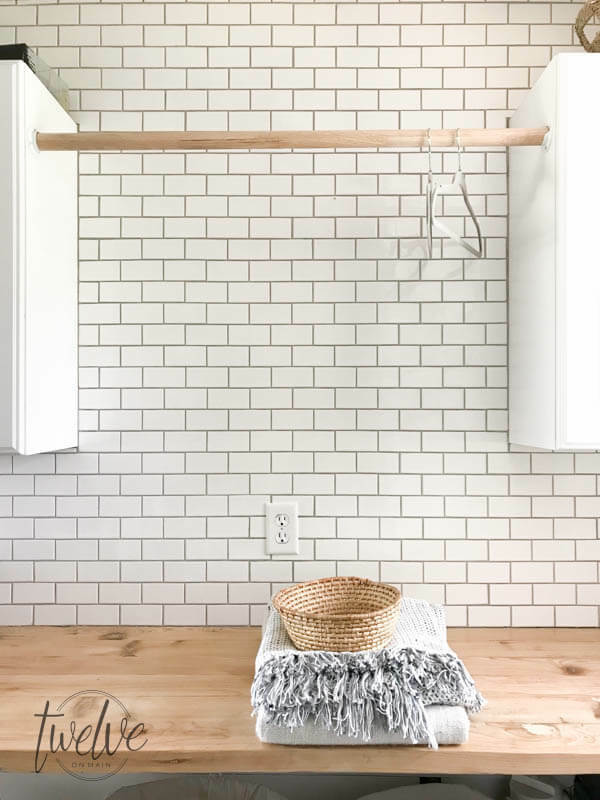 I knew the one thing I had to have was a bright white subway tile backsplash in my farmhouse laundry room. This also had to do with the space around our laundry sink. We needed to protect the walls from all water that get splashed around. I promise you, it happens! I decided I would take the backsplash all the way up to the ceiling and across the opposite wall as well. This was more of an aesthetic choice, not a functional choice. I could not be happier with how it looks. 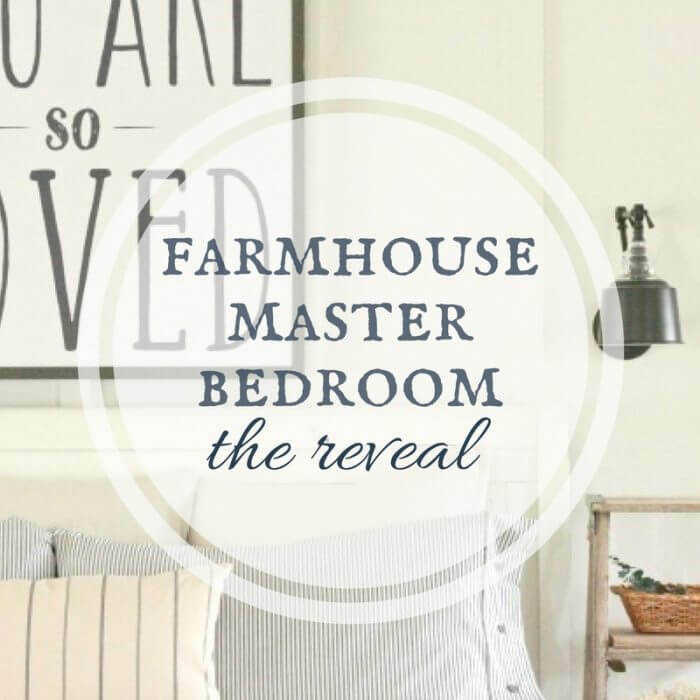 It has a timeless farmhouse look. One that I certainly cant imagine getting sick of anytime soon. 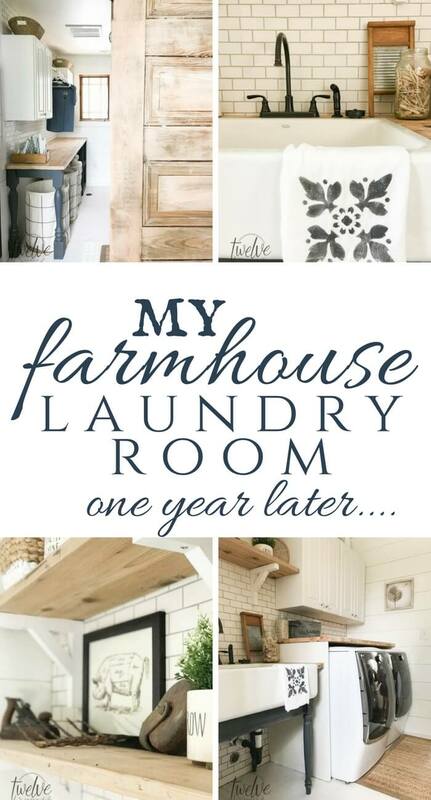 One year with my farmhouse laundry room and guess what? I still hate to do laundry!! Haha! Yep, I was convinced a beautiful space would make me want to spend all my time in there, and for a time I did. But, as with life, the excitement wore off. My husband tells me my hatred for laundry stems from my strong right brained tendencies. Apparently repetitive and monotonous projects drive us right brained people up the wall. This certainly explains the reason why I love what I do. My job with this blog gives me new and exciting things every single day. And I guess the monotonous tasks just wear on me. That’s okay though, I still have a beautiful space in where to do such monotonous tasks. 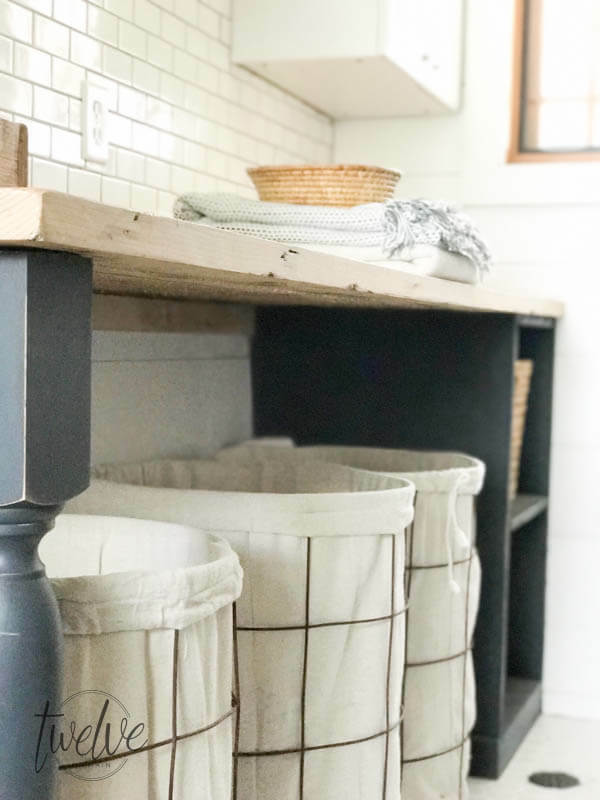 One thing that was thrown in at the very end of our remodel was our DIY wire laundry baskets. These were only intended to fill the space temporarily, until I could find something more suitable. But, as you could guess, they have been the best addition to my farmhouse laundry room! They are so sturdy! 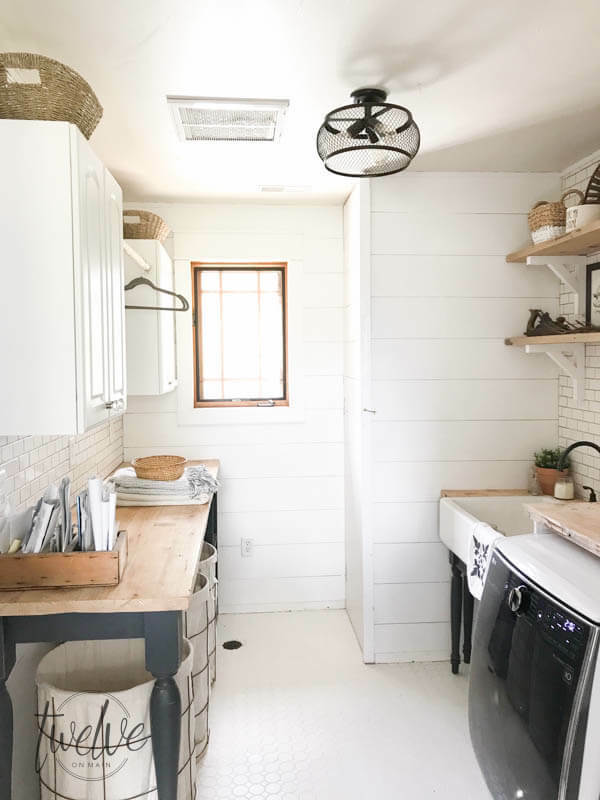 The style is perfect for the space, and the hold so much laundry! Honestly, I cannot imagine getting rid of them. Especially when they only cost about 30 dollars to make 3 of them! A few other features in this room round out the stylish farmhouse laundry room we were going for. 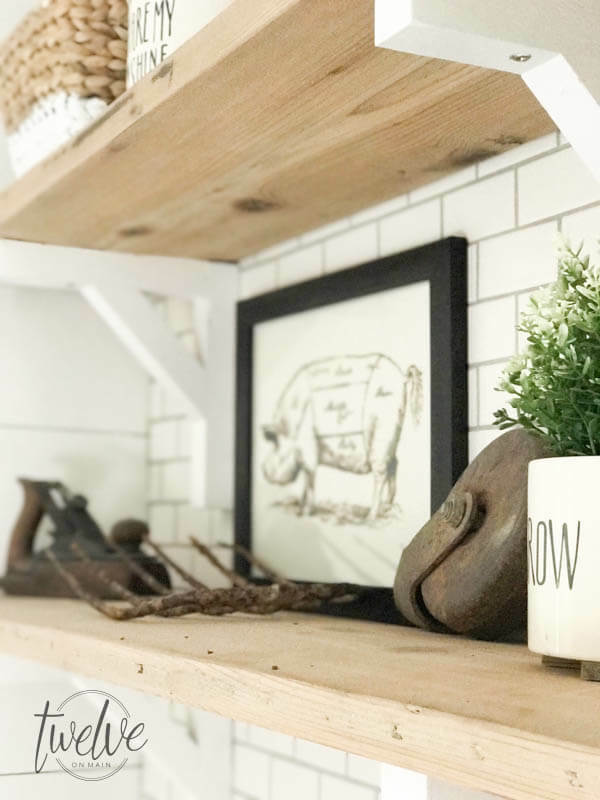 I am still in love with our shiplap, and our open farmhouse shelves are perfect! I love being able to display old rusted finds that my kids come home with after a day of metal detecting. It also gives me the flexibility to use them if I run out of space in my cabinets. Obviously this has not happened yet. Lastly, my prized bleached wood barn doors. These are just about everything I could want and more! I tell you, bleached wood is where it is at! It takes the orangey tone right out of that wood! 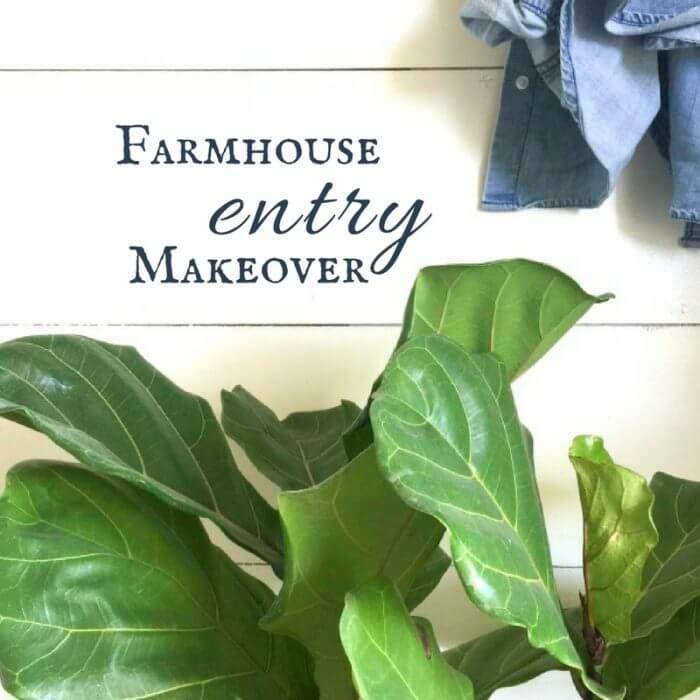 I have a full tutorial on my barn doors, as well as how I used this same method on my vintage church pew. Check them both out! 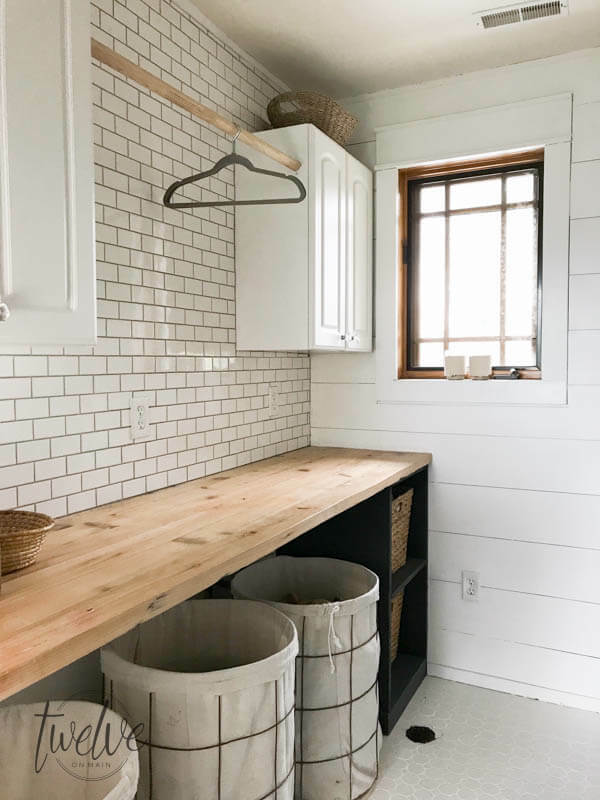 So, I would say that our farmhouse laundry room remodel has been a huge success. 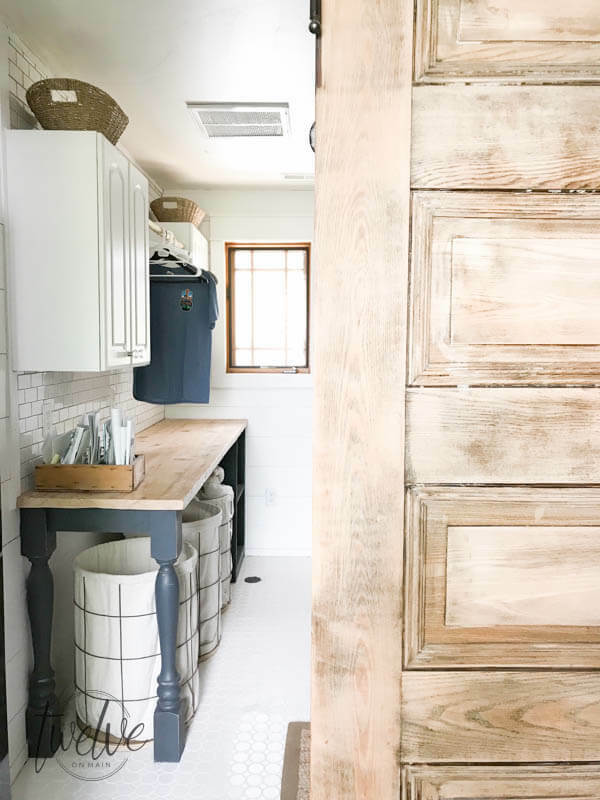 We have so much storage, a bright open space, and all the timeless farmhouse goodness we can handle. 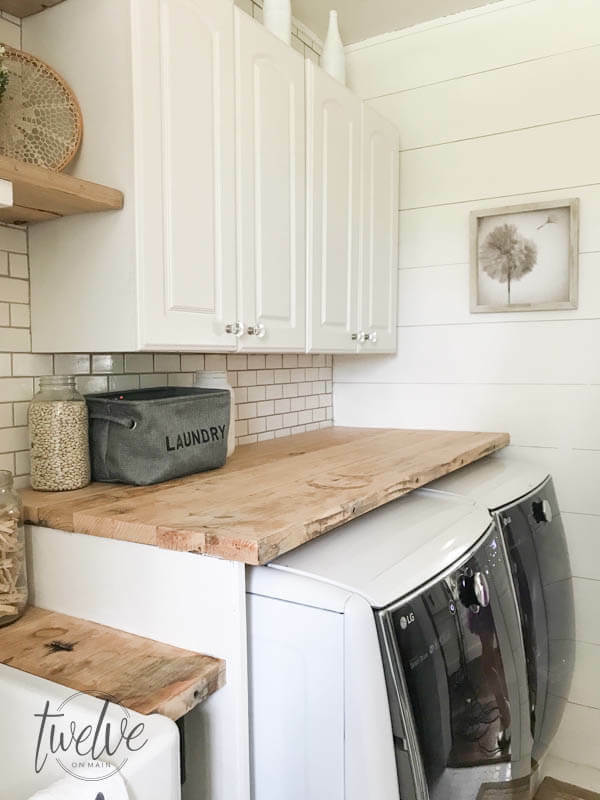 Now make sure you check out these other blogs that have linked up for the summer showcase featuring their laundry rooms. « DIY Ikea Tea Towel Farmhouse Pillows 4 Ways!! I am currently overhauling my laundry room area. I don’t think it will ever look quite like hers, but at least this gives me some inspiration for my own. Thank you for sharing this beautiful farmhouse. Love, love, love those countertops! Your laundry room is THE MOST BEAUTIFUL thing I’ve ever seen!!! I ABSOLUTELY love it!!!! I remember this makeover especially those wonderful wire laundry bins! 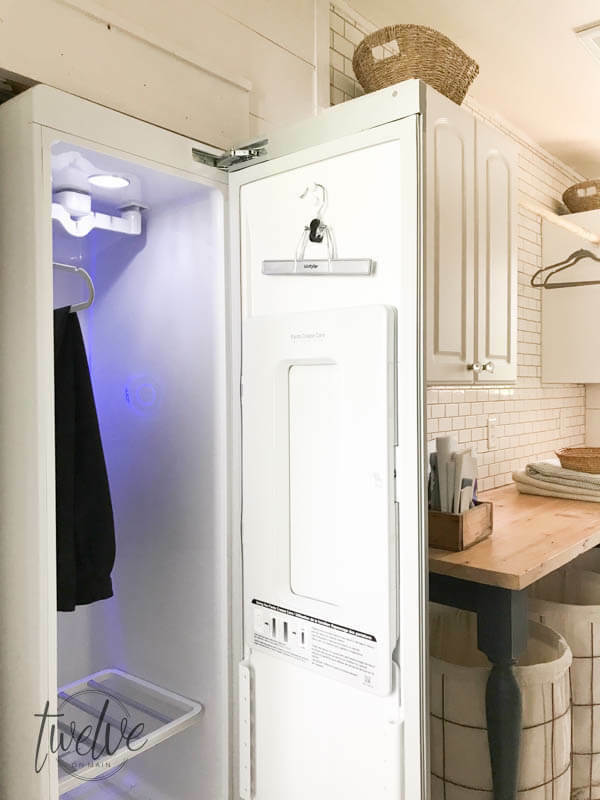 Having just moved into a new home with a larger laundry room, I’d like to achieve good flow and function also! You did such a phenomenal job on this makeover, Sara, and it still shines through! 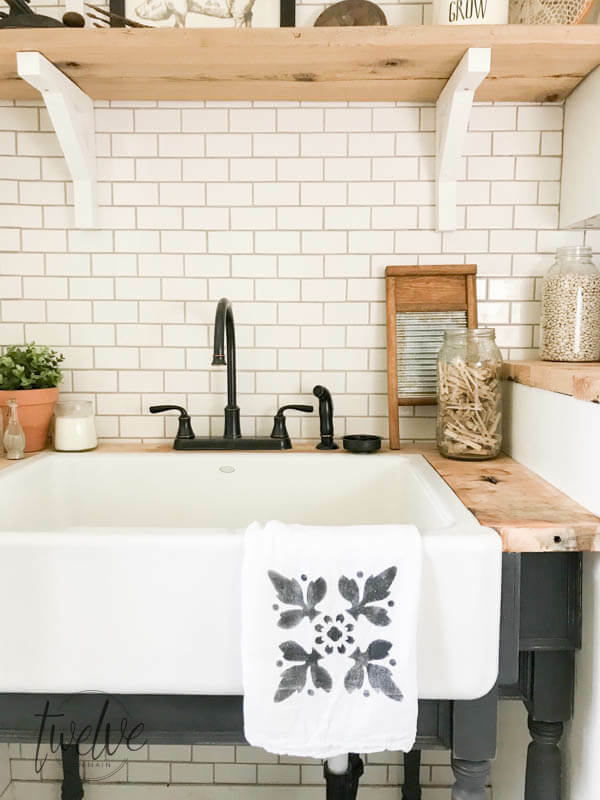 I’ve been wanting to scrap our builder-grade utility tub for a nicer and heavier-duty version, and do tile in our laundry as well. I’m glad to see both are holding up so well for you! 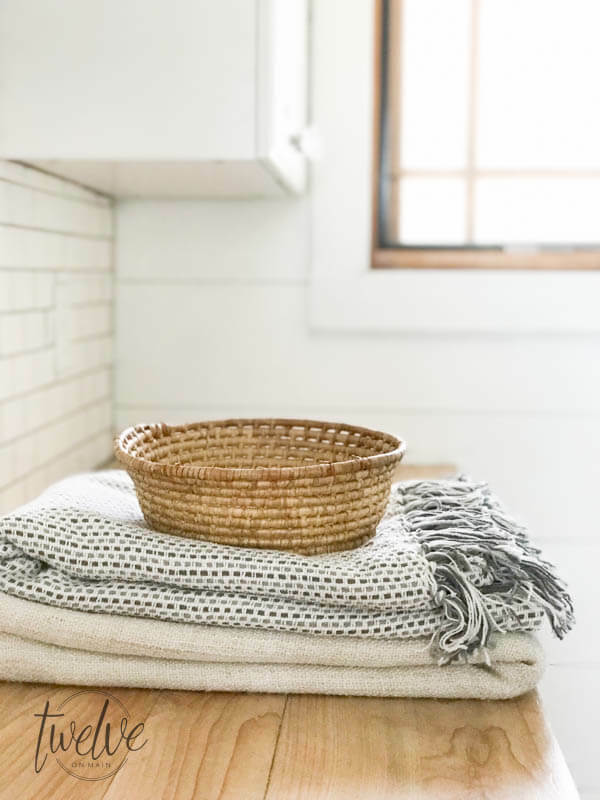 I love the look you’ve achieved in your laundry space. Where did you find the cloth inserts for your laundry baskets? I’m trying to find some for some baskets I have. I love the sink! Where or how did you do the base for the sink? We are working on a DIY tutorial now! This space is awesome! 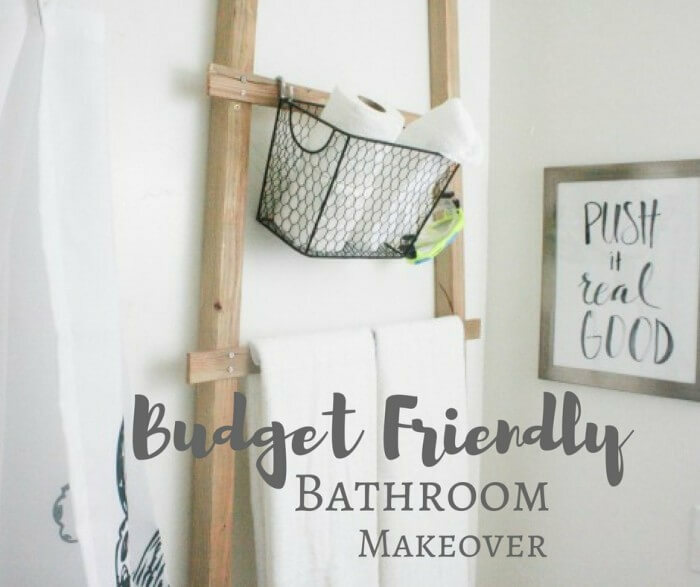 We are getting ready to do a mini makeover on our laundry room too. I don’t hate laundry but I wouldn’t say that I love it either. Hee hee.